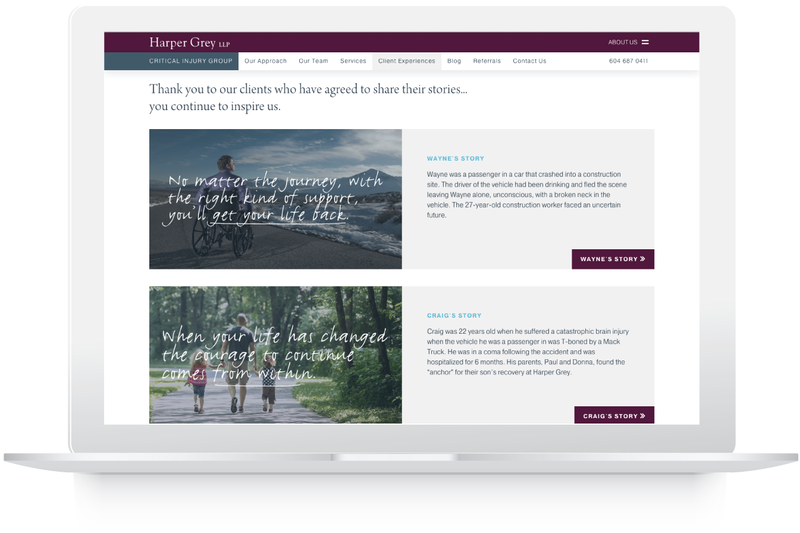 Harper Grey’s Personal Injury Group was seeking to rebrand as the Critical Injury Group; they engaged Signals to help position the Group as the best firm to work with in cases of catastrophic injuries. 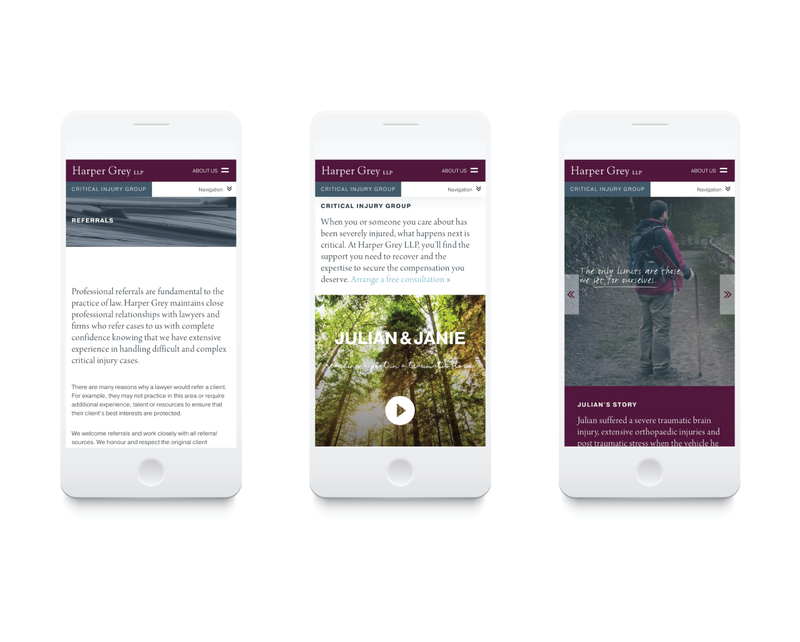 We brought Harper Grey’s core attributes to life by building a more focused digital experience. 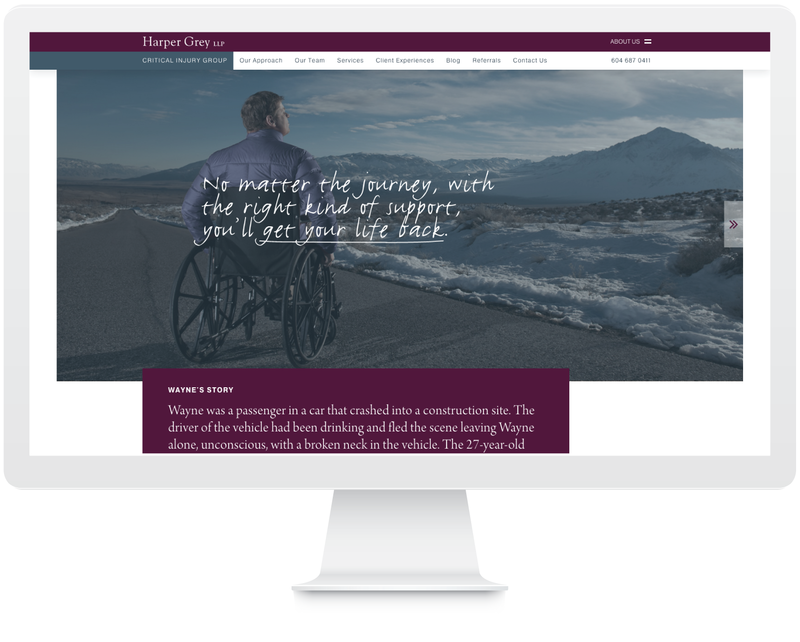 The new site features accessible design and easily digestible copy that highlight the Critical Injury Group’s compassionate approach and focus on the client’s recovery.